DEMOLITION SAW - GAS 14"
Our gas powered demolition saw is perfect for all your demolition and construction needs. 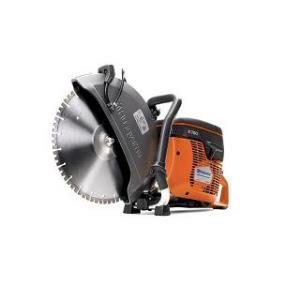 It accomodates a 14" blade which are available for rental or purchase at an additional fee. The maximum cutting depth 4". This machine uses a premixed gas/oil mixture which is provided with your rental. A deposit is required for the fuel can and will be refunded on return. * Please call us for any questions on our demolition saw gas 14 inch rentals in Hillsdale and Ridgewood NJ.